Talking Today’s Online Communications with Marco Massarotto. What are the impacts of the hyperconnected life on online communication and internet pr? And what about how attention and time scarcity are changing old media and plasmating new ones? 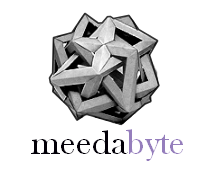 Meedabyte took the chance to discuss these and other topics with one of the most credible Italian expert: the blogger, founder and author Marco Massarotto. Are you willing to stay out the greatest world buzz revolution?